June 14, 2015 March 28, 2019 James Robertson Air disasters, Cold war, KA007, MH17Cold war, Intelligence operations, Russia US relations. 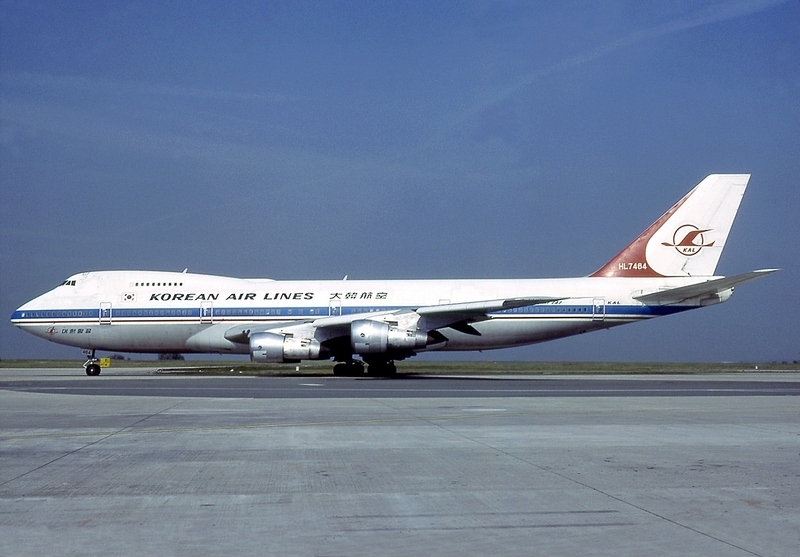 The Korean Airlines Boeing 747 that flew the doomed flight 007 in 1983. On September 1st, 1983 a Korean Airlines flight traveling from New York to Seoul via Anchorage, Alaska with 269 people on board was shot down by the then U.S.S.R after the flight departed from it’s flight path by hundreds of miles and encroached on Soviet airspace in the vicinity of a number of sensitive military facilities. It is interesting to note that Wikipedia characteristically omit the flight’s divergence from the civil flight path from the primary narrative. This is a central fact but clearly one that the author of the Wikipedia piece is keen to place in the background. The fact that the flight’s final departure point was Alaska meant that the US NTSB had a responsibility to investigate the incident. Wikispooks who have a very high quality piece on the MH17 disaster, have little to add on KAL007 beyond the strange fact that the N.T.S.B were removed from the investigation in what was both an unprecedented event and also contrary to US Law . US President Ronald Reagan during his deceitful address to the world regarding KAL007 of September 5th, 1983, four days after the event. The Reagan administration responded to the KAL007 event it by ruthlessly and cynically milking and manipulating the grief of the people of the US and the world for propaganda purposes. It was soon established conclusively through the translation of the intercepts of the transmissions from the Soviet SU15 that the USSR believed the flight was a military flight and that was the reason for the tragedy, the plane flew wildly from the civilian air route, intersected with a US RC135 spy mission, was mistaken for a US spy mission as a result and was downed on that basis. 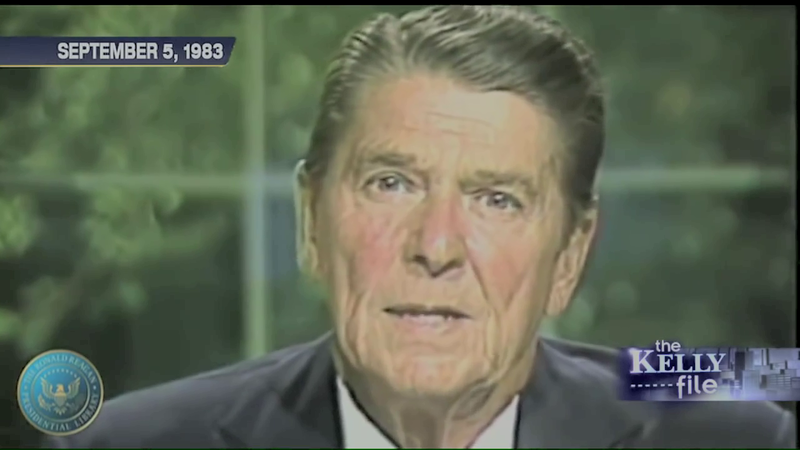 When President Reagan spoke to the people of the US and the world about the event four days later, he knew full well that the shoot down was a tragic accident but chose to pursue the ridiculous claim that the USSR shot the plane down out of pure malevolence and with the knowledge that it was a civilian airliner in order to maintain the emotional impact of the propaganda. U.S President Ronald Reagan addressed the US on September 5th, 1983. Reagan chose to lie to the American people and abuse the understandable grief they were feeling for political gain. This is a pattern that recurs to this day. The fact that the incident had been an accident and the US Government knew that it was an accident emerged within weeks of the event, but this was long after the propaganda message had been absorbed by a credulous public. According to Seymour Hersh the goodwill the disaster created was helpful to US efforts to station long range Pershing missiles in Western Europe. the USSR Response- Counterproductive at best. 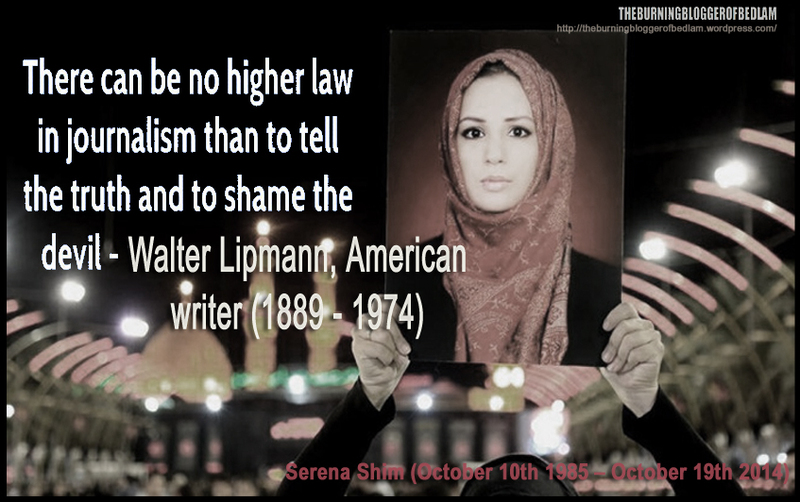 The response of the USSR was anger, indignation and a cover up that played entirely into the hands of the low and dishonest Washington D.C propagandists. The principle cause of the Soviet cover up was probably the fact that KAL007 was attacked near the edge of Soviet airspace and actually crashed in international waters, having continued to progress in descent for at least 12 minutes after the attack when it disappeared from radar. 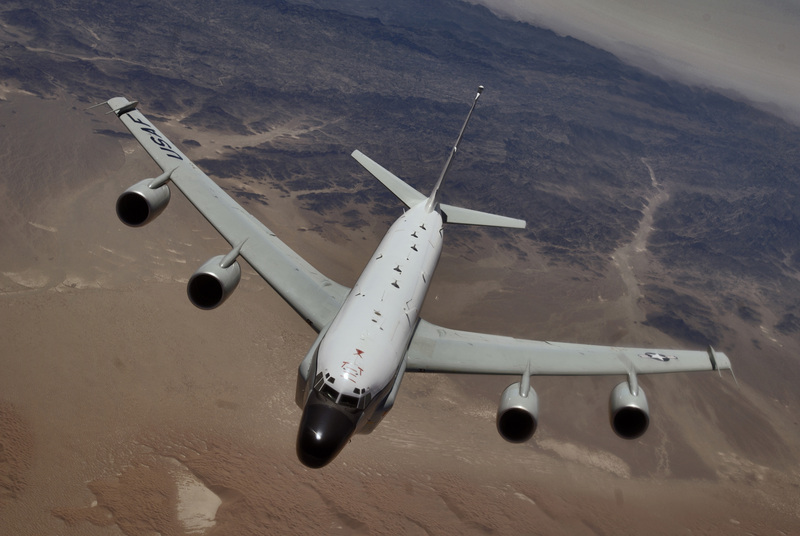 The Context of the Event- Psy-Ops and RC 135 Reconnaissance Flights. During the Cold war, the US routinely conducted reconnaissance missions using a converted Boeing 707 ( the precursor to the 747) aircraft called the RC 135. These missions would probe at the edges of Soviet airspace and regularly conduct minor incursions into Soviet airspace causing fighter jets to be scrambled before returning to international airspace. These operations were but one part of a large scale psychological warfare campaign that the US was conducting against the USSR at the time which generally translated into conducting minor provocations in order to irritate the Soviets and/or elicit a response that would be then used to “catapult the propaganda” effort the US was conducting against the Soviet Union. 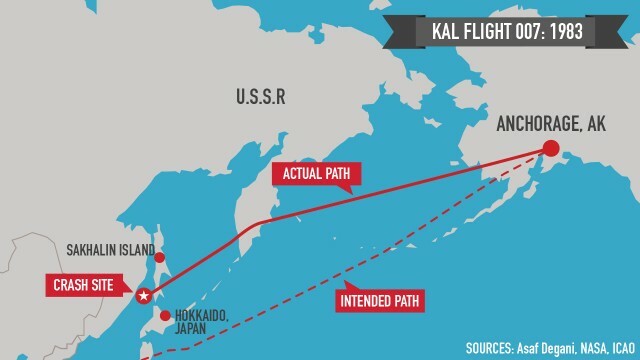 The flightpath of KA007 intersected with the flight path of US reconnaissance missions being flown by RC135 aircraft which was an almost identical aircraft when viewed from beneath as the Soviet pilot viewed KAL007. This map depicts the planned flight path of 007 and it’s diversion. The Mystery: Massive Deviation from the planned flight path. KA007 deviated from the regular planned flightpath by a maximum distance of 365 miles / 584 kilometres for reasons that have never been explained. The U.S.S.R claimed the flight was undertaking a reconnaissance mission on behalf of the U.S. There is no hard proof to support this claim but the almost identical unexplained deviation of a Korean Airlines passenger jet over Soviet Airspace in 1978 indicates that this claim is likely correct despite the fact that all Soviet claims relating to this flight are severely tainted by the fact that the Soviet government suppressed the existence of the Flight Data Recorders for almost a decade after the event. The flight’s departure from it’s planned path is the central mystery and primary cause of the disaster and the Soviet paranoia about US surveillance operations against them in the area combined to cause the tragic mistake. The KAL007 disaster was the subject of extremely intense debates that mirror those about events such as 911, MH17 and MH370 today with many claims that the aptly named Flight 007 was part of a US surveillance operation against the Soviet Union.. There are many references from the 1980s to the case being the “second biggest conspiracy story” behind the JFK case. In the intervening years the event has greatly diminished in prominence due to the (provisional) end of the cold war and also the onslaught of far bigger and more obvious “deep events” and false flag attacks such as Oklahoma City, WTC 93 and September 11th, 2001. No less than Seymour Hersh wrote about a book about KA007, apparently to debunk the “conspiracy claims” of David Pearson who wrote a book named “KAL007:the Cover Up” and British academic R.W Johnson who wrote another titled “Shootdown 007 and the American Role” about the incident. The Seymour Hersh account of this event actually resembles to a stunning degree the basic pattern of his work on the bin Laden raid, it is a critical account that largely supports the US version of events, but without the outrageous propaganda elements. The Seymour Hersh thesis is a very obvious limited hang out designed to obscure the truth. At first glance the description of events seems credible, but further analysis makes it clear that his work on this case, although full of merit, is a deliberate attempt to obscure the truth by creating a more widely palatable and altogether more adult account than the trashy and low US government response of September 1983. Hersh states flatly that the US government knew the event was an accident soon after it took place but chose not to share this knowledge with the public and in the interests of the Western propaganda effort, continued to pretend that the event was a deliberate massacre rather than an accident. Beyond that Hersh affirms the major elements of the US Government story with the finding that there is no evidence to support the alternative hypothesis of an intelligence mission gone wrong. Hersh frankly admits that he has no explanation for the flight’s radical deviation.from the designated R20 flightpath and can only speculate that crew error was the cause with the absolutely farcical “fuel saving short cut” as his second best explanation.. The other Western position posits that the aircraft must have been conducting some type of spy mission or deliberate provocation because the Captain of the flight could not possibly be so incompetent as to incorrectly program his in flight computer to such a degree accidentally. The crux of it is that the pilot must have known that he was flying off course, must have done so deliberately and the best explanation for him doing that deliberately was a US spy mission. This was the position taken by British academic R.W Johnson in his book on KA007 “Shootdown KAL007 and the US Role”. This is Johnson’s attempted rebuttal of the Hersh position in a review of Hersh’s book in the London Review of Books. It seems that Johnson is primarily trying to state that it is impossible that the pilot could mistakenly travel so far from the designated flight path, this must have been intentional and therefore the flight must have been involved in an intelligence operation. It seems a solid argument, but hardly devastating and I was prepared to accept the Hersh version as the best available explanation for the KAL007 tragedy until I came across the story of ANOTHER Korean Air Lines jet flying into Soviet Airspace and being targeted by the Soviet Air force, from FIVE YEARS earlier and it is the strange and closely related case of KAL902 from 1978 that provides the strongest clue as to the truth behind the downing of KAL007. KAL902 makes a rough landing on a frozen lake in April 1978. The Missing Link- KAL902, April 20th 1978. KAL902 was a Korean Airlines 707 flying from Paris to Seoul via Anchorage that was shot down by the Soviet Air force leading to two deaths. 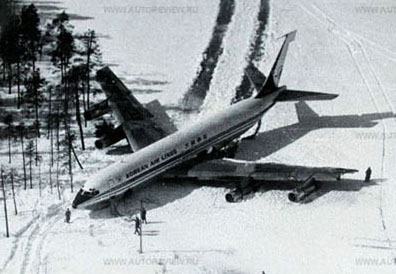 The plane was successfully crash landed on a frozen Russian lake and the passengers were released by the Soviet Union two days later. 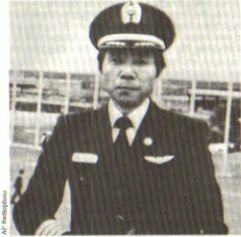 The crew were detained for a week and when the pilot, Captain Kim Chang Ky was released he could offer no explanation for the incursion into Soviet Airspace. Western fixers eventually came up with a wild tale about the pilot miscalculating his flight path and accidentally straying into Soviet airspace due to the problems caused by the instruments of navigation malfunctioning in the vicinity of the North pole! The story appears to be classic face saving concoction designed to mask what seems to have been an intelligence gathering operation gone wrong. This is a summary of the Official story of KAl902. We are expected to believe that Korean pilots alone have unique navigational problems not experienced by the pilots of any other nation and that these massive miscalculations twice led to the accidental encroachment into Soviet airspace provoking an armed response! It is the typical nonsense we are so used to hearing, always cloaked by the emotion of the tragedy that is ruthlessly exploited for naked political gain. A Washington Post article dated April 30th, 1978 details the absolutely bizarre performance of the pilot of KAL902 at his release. Kim Chang Ky spoke only through an interpreter despite being fluent in English and offered no explanation whatsoever for the plane’s divergence from it’s path nor the failure to respond to any of the communications from the Soviet fighter jets. Another Washington Post article provides an interesting glimpse into the Soviet US relationship at the time of each of the KAL events and some possible motives for a provocation. “The 1978 and 1983 incidents occurred when the two superpowers, after months of coolness, were seeking to resume arms control negotiations. On April, 20, 1978, Secretary of State Cyrus R. Vance was in Moscow discussing arms control with Foreign Minister Andrei A. Gromyko. His visit continued despite a world outcry against Moscow. This completely misses the point that the people instructing the pilot and running the mission did not expect the flight to be completely destroyed, but reassured themselves that if it happened, it would be a big propaganda victory. It was a classic win-win situation, they either gather intelligence or score a major propaganda coup. Georgia Congressman Larry McDonald died on flight 007-or did he? There are a number of wilder stories regarding this flight. 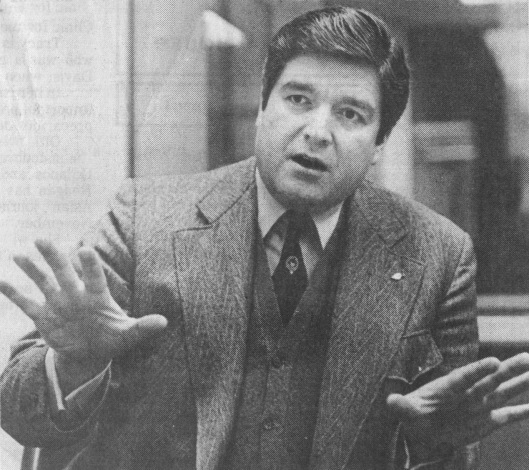 That the Congressman Larry McDonald who died on the flight was targeted for assassination, that the flight landed safely and those on board were taken prisoner by the USSR. There is no way to completely discount these stories but their appears to be little evidence and logic in these claims. Without being mean the notion that Larry McDonald, head of the John Birch Society would be a worthy target of a Cold war assassination masked as an air disaster appears to be completely preposterous. Whatever Congressman McDonald’s qualities, he was a marginal figure in US political life and the John Birch connection was a lifetime guarantee of that. On July 18th, 2014, short of 24 hours after the incident, the Australian Prime Minister Tony Abbott stood in the Australian Parliament and baldly announced to a credulous Australian media and public that Malaysian Airline Flight 17 had been DELIBERATELY shot down over Eastern Ukraine in an intentional act of MURDER. These words were a direct historical echo of the dishonesty and manipulation that emanated from the White House in 1983 in the wake of the KAl007 tragedy. The Australian people were astonishingly expected to believe that the Novorussian fighters were a group of jihadist maniacs like the IS or al Qaeda who would deliberately shoot down a civilian aircraft out of sheer malevolence. The Novorussian fighters, for all their faults are not now and have never been engaged in any terrorist attacks or the deliberate targeting of opposition civilians. The Novorussian Republics are not at war with the West and to characterise them that way is simply pitiful. More importantly, the highly controversial Kharkov event aside I am not aware even of any allegations of terrorism from the fighters of the Eastern Republics. There has not been bombing and shelling of pro government areas, although there was a controversial incident in Mariupol that may have been the result of rebel fire, it would be the exception to the rule. Not a single attack has taken place against the people of Kiev or anywhere else outside the zone of conflict. The fact that there is no longer any ideological basis for the position no longer matters. Any enemy will do. The ever present parallel of the deeply upsetting big lie aside and the very odd story of Korean Air Lines Flight 85 on September 11th the real parallel is the way that the like 911, for unknown reasons the NTSB were entirely relieved of their investigative authority for unknown reasons. KAL007 was not a Spy plane it was one element of a larger surveillance operation. The mission of KAL007 seems fairly clear in retrospect. KAL077 was not a spy flight per se, it was one device tasked with playing a role in a larger reconnaissance mission. KAL007 was tasked like it’s forerunner, the far luckier KAL902 with specifically violating the Soviet Air Defenses in order to trigger the mobilisation of the Soviet Air Defense systems which US spy satellites would photograph and monitor for military purposes. The operatives who instructed the flight to violate Soviet airspace presumably did not expect the flight to be destroyed The USSR decision to target the flight was a monumental blunder. An act of criminal stupidity and the responsibility must be shared between the two self interested and dishonest super powers. But once the flight was downed it was seen as manna from heaven and the most cynical and manipulative response imaginable followed from the US government. If KAL007 is examined in isolation, the case for an intelligence operation seems spurious but the combination of the two inexplicably “lost over Russia” Korean Airlines jets in such a small space of time rather gives the game away regarding both flights in my opinion. It is worth remembering that South Korea was, and remains a front line Cold war state in a state of cold conflict with North Korea. Since the end of the Korean war tens of thousands of US troops have remained a constant presence. The commitment to the narrative of the Cold war is understandably strong in South Korea and the high level of dependence on the United States is also clear. The other conclusion that can be drawn from this event is that when great powers clash, propaganda trumps the facts on every occasion as it has done with the MH17 disaster and many others more recently. The callous exploitation of the grief of the American people in the wake of the 007 disaster was disgraceful, it became known that Reagan officials had not been truthful in their description of the KAL007 disaster within weeks and yet the Officials responsible remained unrepentant and the controlled press offered little criticism of their dangerous and irresponsible actions following the KAL007 disaster. It was amusing to note that in the wake of the MH17 disaster Fox News actually tried to criticise Obama for not sufficiently echoing the dishonesty of President Reagan after 007 and suddenly it seems the quarter century long end of the Cold war never happened. CanSpeccy: Did New World Order Critic, U.S. Congressman Larry MacDonald, Survive The ‘Shootdown’ Of KAL 007? ref “Larry McDonald.. would be a worthy target of a Cold war assassination masked as an air disaster appears to be completely preposterous”..
given the sober and clear statements made by Larry in following interview, large sections of NY and TLV must have been extremely pleased, when Larry “disappeard” on KE007.. Many thanks Maureen that is very interesting, the link did not seem to work but I think I found the right thing here:http://kal007mystery.tripod.com/satellite-escapades.html.